December's a pretty big month for the movie studios. Between the holiday season and releasing movies for Academy Award consideration, there are some blockbusters out there. Here's my top ten list for December 2007. 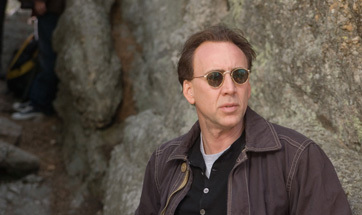 The highly anticipated sequel to National Treasure finally makes its way to the big screen. Of course, the original cast is reunited in their quest to solve another big mystery by following some big clues. Most of the movie-going public is familiar with the original film and they were pleased with the results. This movie was also a big hit in the home video market. I don't see much problem for this one to match the original's box office take. The only thing that may hurt it is that it is opening in a very busy movie weekend with four other wide releases. However, it should grab most of the available screens since it is anticipated to be the biggest of these films. The marketing for this film has been brilliant. The commercials have been revealing a little more of the movie each time we see them. Whether it's the military destroying bridges, animals running wild in the streets, or the lone survivor broadcasting and trying to get hold of anyone, they are definitely grabbing the public's attention. And it doesn't hurt having 91" target="new">Will Smith as your star. A great deal of controversy has been surrounding this film from religious groups complaining about the anti-Christian message in the books/film. While you do have the people that will boycott the film, there are those that would not have seen it but will out of curiosity. In addition, those that just want to see a good fantasy film, which is being compared to Narnia and Harry Potter, will go no matter what anyone says. It all adds up to some big numbers at the box office. Aliens. Predator. What more do you need? Maybe a little publicity wouldn't hurt. That's the one area where I worry about this film. There hasn't been that much publicity surrounding this film. Unless there's a big marketing push, this may end up lower down the list this month. Here's a good kids film, but how many kids will actually ask to go see it? Again, it may end up down the list unless we see the studio trying to stir up some interest.